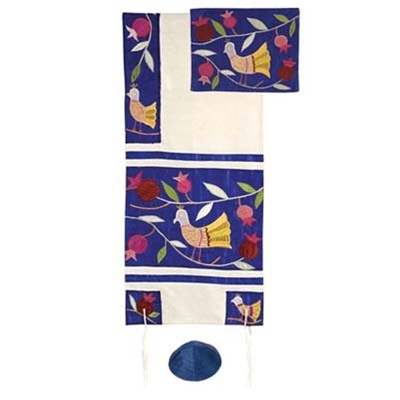 Yair Emanuel tallit is made of hand – woven raw silk. Raw silk is appliquéd with embroidery forming the motifs. 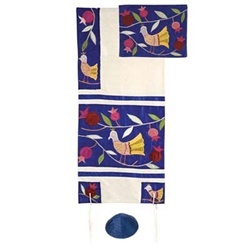 The set comes with a Tallit, Tallit bag and a Kipah .